C, B-flat, E-flat & Bass Clef Instruments. Composed by Gordon Goodwin. Mixed Instruments - Flexible Instrumentation; Play-Along. Alfred Jazz Play-Along Series. Jazz. Book; CD. 88 pages. Alfred Music #00-36099. Published by Alfred Music (AP.36099). ISBN 0739076116. English. Gordon Goodwin. 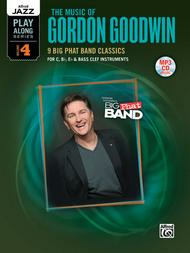 Nine Gordon Goodwin Big Phat Band classics in a jazz play-along! The Alfred Jazz Play-Along series goes beyond the other play-alongs. Each volume has parts for C, B-flat, E-flat and bass clef instruments and includes a sample jazz solo that is written out for you to listen to, play, and practice. The included mp3 CD has two tracks for each tune---demo and play-along track. 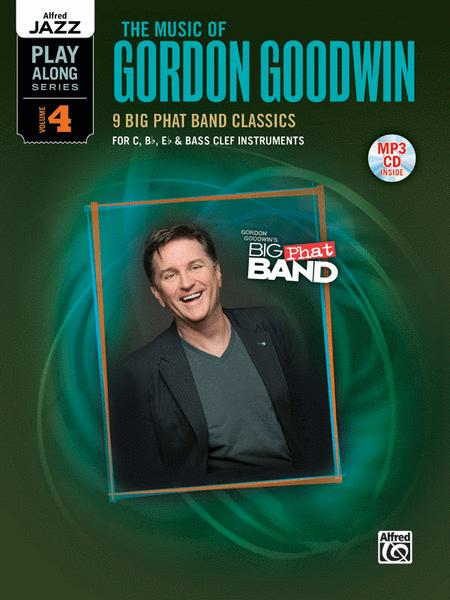 The demo track, featuring Gordon Goodwin and players from the Big Phat Band, is a learning tool for the melodic concept, overall jazz style and the sample jazz solo. The play-along track allows a soloist or group to learn and perform with the rhythm section. The mp3 CD also features tempo changing software allowing you to slow down or speed up the tempo. Specific improvisation tips and suggestions are included. There is also a matching book for rhythm section featuring piano, bass and drum parts. Titles: Count Bubba's Revenge * High Maintenance * Howdiz Songo? * Jazz Police * Maynard & Waynard * Race to the Bridge * Rippin 'n Runnin' * That's How We Roll * The Very Best of Times.